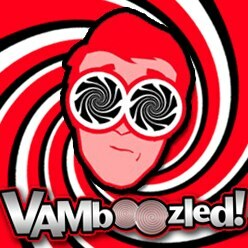 Large-Scale Test Scores to Officially Count for 40% V. 50% of Nevada Teachers’ Annual Evaluations | VAMboozled! Written into my last post here were “The ‘Top Ten’ Research-Based Reasons Why Large-Scale, Standardized Tests Should Not Be Used to Evaluate Teachers…” really anywhere, but specific to this post in the state of Nevada. Accordingly, this post pertained to what were then the ongoing legislative negotiations in Nevada, and a testimony that I submitted and titled as such. Well, it looks like those in Nevada who, as detailed more fully in another post here, were “trying to eliminate — or at least reduce — the role [students’] standardized tests play[ed] in evaluations of teachers, saying educators [were] being unfairly judged on factors outside of their control,” lost their legislative fight. As per their proposed AB320, the state would have eliminated large-scale standardized test results as a mandated teacher evaluation measure, but the state would have allowed local assessments to account for 20% of a teacher’s total evaluation. On Friday, however, the Nevada Independent released an article about how the state, instead, passed a “compromised bill.” Accordingly, large-scale standardized test scores are to still to be used to evaluate teachers, although they are to now count for 40% versus 50% of Nevada teachers’ overall evaluation scores. This is clearly a loss given the bill was passed as “something [so] much closer to the system already in place” (i.e., moving from 50% to 40%). This is all unfortunate, also given this outcome seemed to come down to a vote that fell along party lines (i.e., in favor of the 40% “compromise”), and this was ultimately signed by Nevada’s Republican Governor Sandoval, who also had the authority to see AB320 through (i.e., not in its revised form). Apparently, Nevada will continue to put up a good fight. Hopefully in the future, the state will also fall in line with what seems to be trending across other states (e.g., Connecticut, Texas), in which legislators are removing such misinformed, arbitrary, and commonsensical (i.e., without research evidence and support) mandates and requirements. This entry was posted in From the Field and tagged Consumer Alert!, States by Audrey Amrein-Beardsley. Bookmark the permalink. We’re down to 0% this year. 20% of a teacher’s evaluation will be based on a teacher-developed “Student Learning Goal,” the results of which are rated by their evaluator.